Recently, there’s been plenty of gnawing of climateblogging teeth for the silliest of reason. Simply, Willis “Rooster Cogburn” Eschenbach took umbrage of Tallbloke and posted at WUWT what was later revealed an act in some kind of psychodrama (with plenty of censored comments – my own comment to the latter, including a “GET A LIFE” exhortation, hasn’t has finally seen the light of day as yet). Tallbloke has responded here and here. The end result has been that WUWT has apparently transmogrified into Climate Progress, after celebrating its 100M hit. Not sure how long I’ll hang around it, unless things change. And the topic that has caused so much heating? If there is any gravitational explanation for the “greenhouse effect”. Cue millions of words written for nothing. The actual problem as I see it is called “solutionizing”. People tackle the problem of why bumblebees fly, some ideas are thrown around, those ideas are incomplete, so people come to the conclusion that since there is no solution to the problem, bumblebees don’t fly. In the meanwhile, bumblebees fly. Back to square one. In management circles, this is all pointed out as a fundamental error…the fact that you don’t have a solution doesn’t mean the problem is impossible to solve. It simply means you should concentrate on analysing the problem and in collecting more data, rather than immediately try to identify a solution. For those harder in understanding, the observation is that independently from the composition of the atmosphere and the presence of a solid surface underneath it, every planetary atmosphere in the solar system has a “troposphere”, defined as the part where downward lapse rates are positive, i.e. temperatures increase as the distance from the top of the troposphere increase. The same thing applies to any self-standing gas cloud anywhere in the universe. There is always a surface “below” which temperatures increase with pressure. Otherwise stars won’t ever ignite. Now if this is because of whatever Hans has said, or N&Z, or it’s Tooth Fairies, that is not a question that will ever be answered in blogs (and especially, in their comment sections). But anybody stating that what the whole cosmos is alight by is “impossible”, they do have a problem telling truth from fantasy. Some interesting ideas that are surfacing at Judith Curry’s “Cloud wars” blog post, leading to the conclusion that there might as well be no such a thing as a “pure” climate forcing. A “pure” climate forcing (i.e. one that occurs only as a forcing to the climate system, not also as a feedback) is of course an independent input to the system. IOW it is an independent variable that will provide its “push” in a specific direction whatever the value of all other variables. It sounds obvious (maybe not to the average Climate Believer) that a great deal of so-called forcings aren’t: clouds of course (both a forcing and a feedback, perhaps on different timescales); but also CO2 emissions (as noted by commenter Eric Ollivet), water vapor, and pretty much anything that happens in the atmosphere. One is left with the influence of other planets, of volcanoes, and of course of the Sun. But are those true and “pure” forcings, really? For example, who’s going to demonstrate that the atmosphere will respond predictably and progressively if the Sun input to it varies, and everything else remains equal? For all we know, the Sun could be a positive forcing up to a point, then negative, then positive again, or simply positive but by different amounts following a complex multi-step function that moves up and down, all according to the atmosphere’s initial status. Actually, we can be pretty sure of all that complication, thanks to the Mpemba effect (and the Leidenfrost effect). Every reduction and simplification seems poised to destroy our ability to understand the climate itself. We might be ending up trying to apply statistics and/or computer models simply to distract us from the underlying truth: perhaps, in climate science, the only good map IS the territory. And the only hope to understand the climate, is by considering it whole. Clarke’s First Law – Corollary: When, however, the lay public rallies round an idea that is denounced by distinguished but elderly scientists and supports that idea with great fervor and emotion—the distinguished but elderly scientists are then, after all, probably right. Italian newspaper “La Stampa” has just put online its 1867-today archive (yes, it IS in Italian). What better chance (well, for me at least…) to explore the evolution of “global cooling” thinking in the 1970s beyond the usual English-speaking newsmedia? With the added bonus of plenty of names and other key words to use as…keywords for further research. 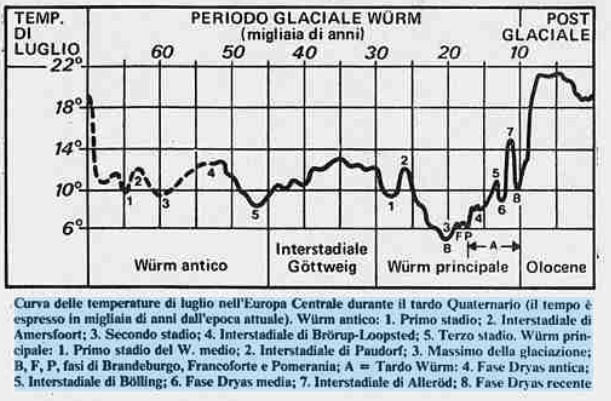 This collection strongly indicates that in Italy, like elsewhere, the average reader of newspapers would have had all the reasons to believe in a “global cooling consensus” for much of the 1970’s and even later. Two teams of French scientists complete research in the Antarctic. Bryson again. Must have been very popular. Mentions Stephen Schneider, according to whom the “turnaround year” from a warming trend to a cooling one was 1972, a year with drought in the USSR, floods in Pakistan, and a delayed start of the monsoon season. Is This The Face Of Evil At The BBC? 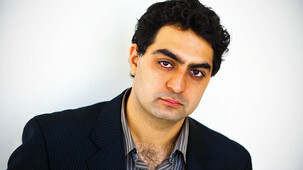 Mukul Devichand…try to remember this name (well, it helps if you’re Indian, Welsh, or both)…why? Because Mr Devichand’s “The Spirit Level: the theory of everything?” programme on Radio4 tonight has surely been the most shocking BBC documentary since Oct 18, 1922. You see, Mukul “Scourge of Science” Devichand HAS QUESTIONED A COUPLE OF SCIENTISTS’ THEORY. Yes, you’ve read it correctly. Rather than recording the usual regurgitated press release in order to reaffirm how any scientist that happens to be near a microphone is always right and always will be, Mr Devichand has done his job, what should be the normal job for every self-respecting journalist at the BBC and elsewhere: he has put forward interesting, probing, challenging questions to the scientists at hand, making sure the listeners understood the limits of the proposed theory, and going as far as to suggest some of the criticisms could be warranted. The programme had no qualms in discussing the policy implications of the proposed theory, and didn’t try to paint opponents as anti-Science people. Finally, there was an open admission that (esp. in matters of public policy) things will always be interpreted according to one’s “heart”. Is this an example of things to come? I HEREBY EXPRESS MY SUPPORT FOR THE PROMOTION OF MR MUKUL DEVICHAND AS BBC CLIMATE NEWS SUPREMO.